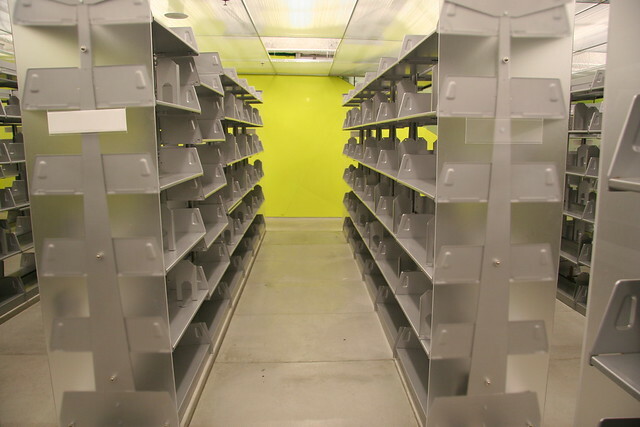 Empty Bookshelves - Seattle Central Library | Flickr - Photo Sharing! It is hard for me to look at empty shelves - I just want to fill them! Emily Barney and suzanne.hearn added this photo to their favorites. I can visualize a sign here saying "Future home of the Brewbooks Special Collection, now part of a vast personal library in Lake Forest Park." My horizons have once again been expanded by the brewbooks account---I had never before herd the phrase "book ranching." Is Lake Forest Park the modern-day Ponderosa?